The Literary Correspondent of the Irish Times, Battersby probably reads more books every year than I’ve read in my lifetime. You get the feeling she’d mop up the 154-strong long-list for the IMPAC and still find time to suggest a dozen books that were shamefully overlooked. She’s both crazily scatty (one Dickens-related tangent during last night’s talk took her off-road for five minutes, and I’m not sure, by the time it ended, whether anyone could remember exactly what point she’d been making beforehand) and dazzlingly confident in her opinions – I loved her brief but cutting putdown of Jennifer Egan’s A Visit from the Goon Squad earlier this year. That scattiness and strength of opinion was firmly in evidence on Wednesday night, and I’ll certainly be reaching for Eudora Welty and Turgenev as a result of her comments. You read [Kevin Barry’s] City of Bohane, and it’s a hoot, it’s very funny, but he doesn’t really have anything to say. The Spinning Heart is a little book but it’s really very good. The Lavin talk, which is part of Meath County Council’s series of events celebrating the centenary of her birth, also brought an explicit exhortation from Battersby for the Council to make a more enduring commemoration of Lavin’s life and work – namely, by following the road tread by the Munster Literature Centre, which established the Frank O’Connor International Short Story Award in 2005. The main talk was preceded by a brief introduction by the wonderfully dignified Diarmuid Peavoy, husband of Lavin’s daughter Elizabeth and brother-in-law of the writer’s youngest daughter Caroline Walsh, the former Irish Times Literary Editor whose life ended in tragic circumstances late last year. 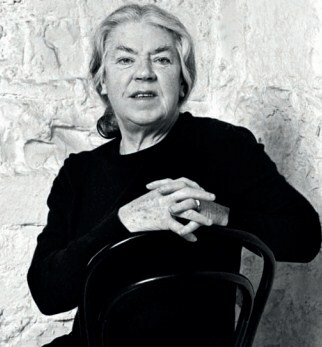 Peavoy offered some brilliant insights into Mary Lavin the person – she always wore black but loved white flowers above all others; she worked from morning until lunchtime sitting up in bed with her tea on the locker and notebooks before her on a wooden stand; and that while she was a fantastic cook she steadfastly refused to be photographed in the kitchen.